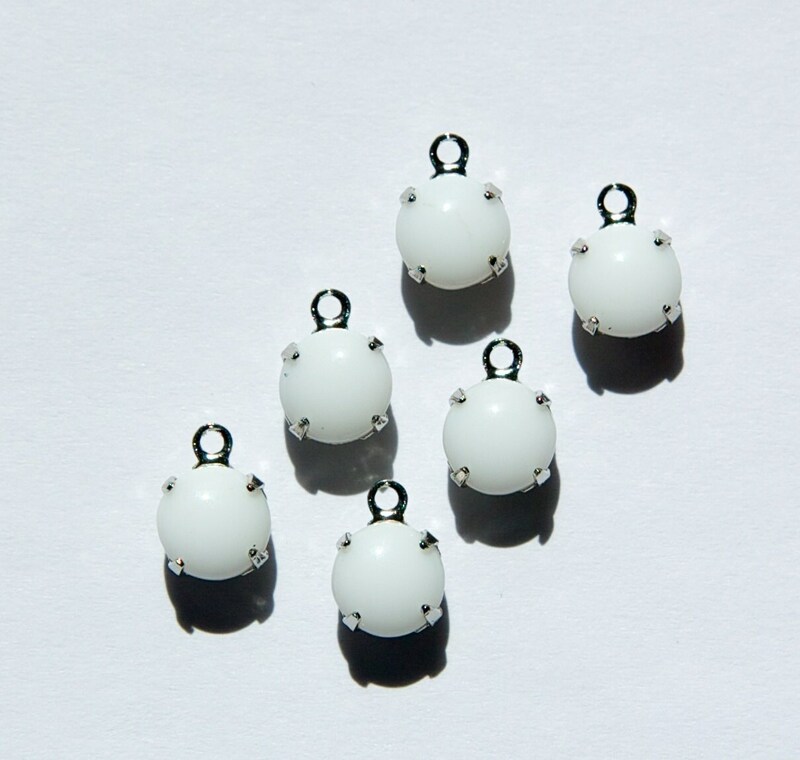 These are vintage white glass stones in a silver plated setting. The setting has one loop for attaching to your creations. 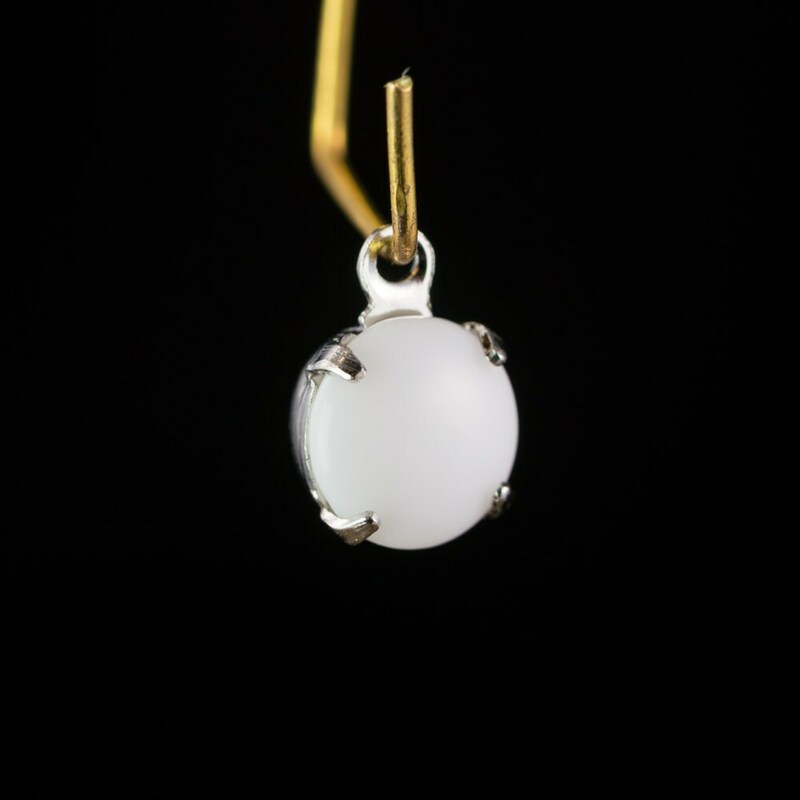 The stone measures 7mm, with the setting the length is about 10mm. You will receive 6 of these. These are a shiny white glass, they look a little dull in the picture, they are shiny in person. Beautiful stones, excellent quality - thank you!